We don't think that soap should be boring, so we add a little imagination to our bath and body products! 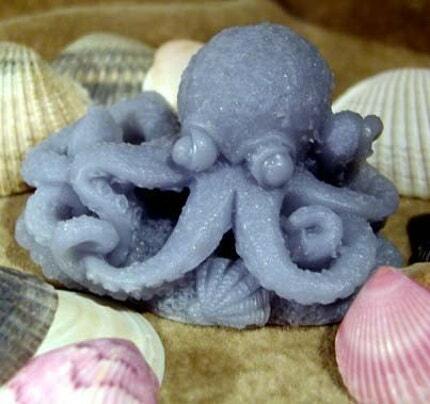 Who doesn't want a little purple octopus in their bathroom? absolutely gorgeous. To pretty to use! He's not just an octopus he's a real character with flowing tenticles and big eyes! And so much detail.